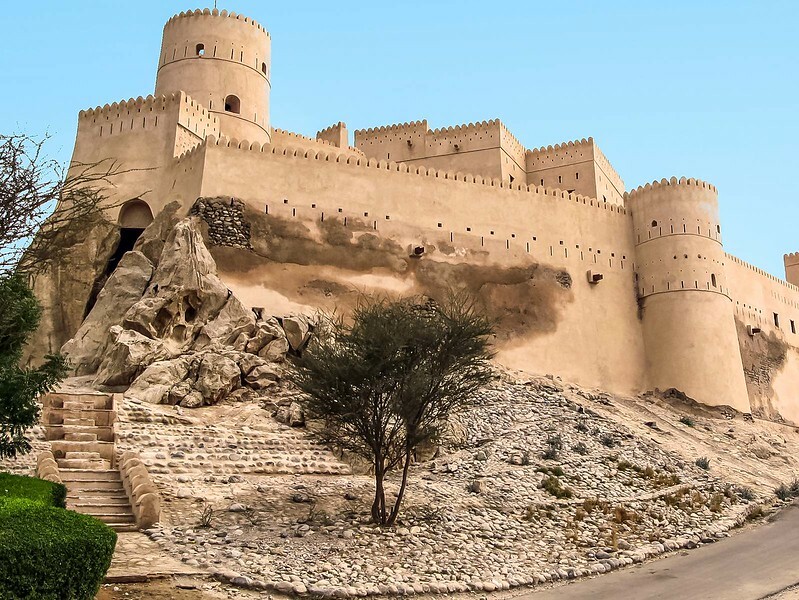 Al Rustaq Oman has become famous thanks to the 3 forts on the Rustaq Loop - Not far from Muscat, you can admire the Rustaq Fort, The Nakhal fort and the Al Hazm castle. 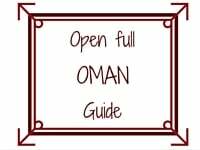 A great drive to include in your Oman Road Trip. Just West Of Muscat is a road called the Rustaq Loop. 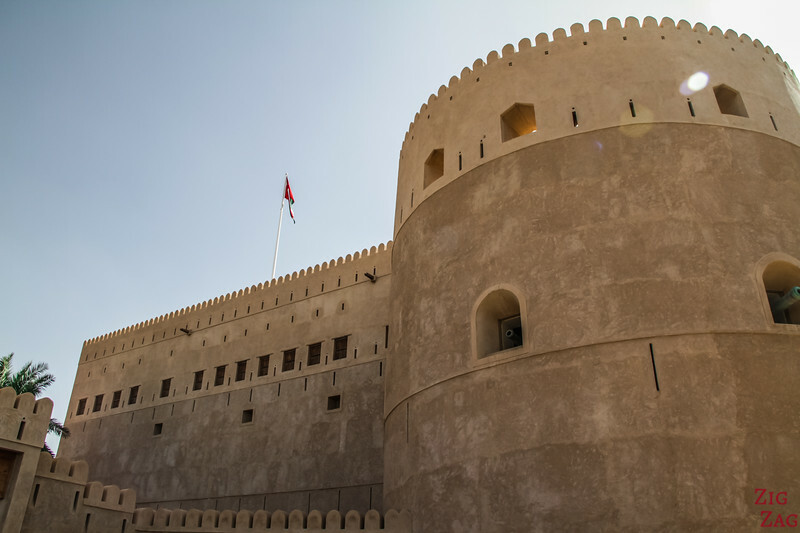 For those interested in historical structures, it includes 3 forts: the Rustaq fort, the Nakhal fort and the Al Hazm castle. Without any stop the loop Barka to Barka takes 2h40 minutes. Rusty used to be a significant town in Oman due to its strategic position between coast and mountains. This is why the Rustaq fort is one of the largest in the country. 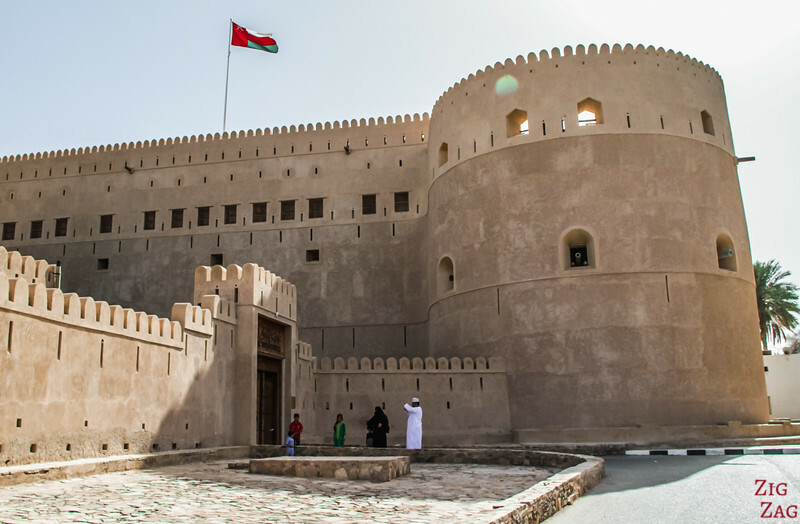 It is also one of the oldest forts in Oman which has been expanded several times in its history. It is a large complex with its own irrigation system, mosque and prison. It has 4 towers, the tallest reaching 20 meters in height. Together with the Al Hazm castle, they have bee submitted to the World Heritage list but from what I can see, they have not been nominated. 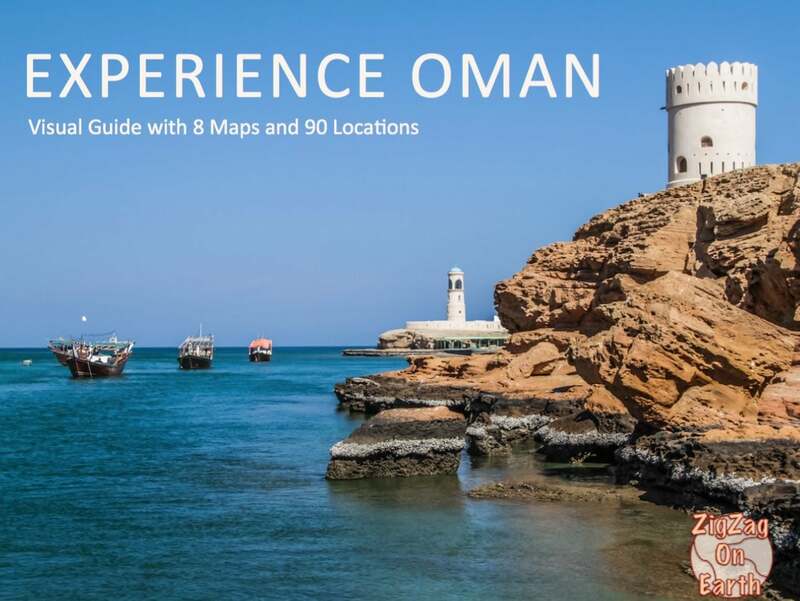 You can admire the imposing structure from further away by taking the road up to a mausoleum (GPS coordinates in the eBook) You will get the views of the Rustaq fort you can see below. The fort opened to the public Saturday to Thursday (9am to 5pm) and Friday (8am to 11am) as of Dec 2015. I was there on a Friday at prayer time so I could not enter it. But I could see all the local men converging to the Mosque inside the fort. So instead I took the time to walk all around the castle. The walls surrounding the complex really gives it a charm and intriguing effect. The Al Hazm Castle is located not far from Rustaq. It is a large military fort from the beginning of the 18th century. It is a 2 story rectangular fort with 2 towers. So from the outside the fort is less intriguing. The fort can be visited ​(Opening hours: Saturday to Thursday (9am to 4pm) and on Friday (8am to 11am) as of Dec 2015). Plan quite a lot of time with all the corridors and rooms to discover. Displays are set up in different rooms to show how life used to be. Bathrooms for the public. They also proposed audio guides. 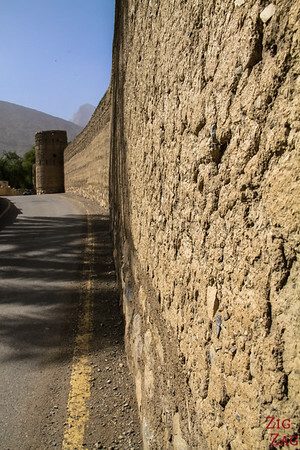 The 3rd major fort on the Rustaq Oman Loop in the Nakhal fort. It makes me think of the Nizwa fort but situated on higher grounds. Located on a hill it was designed around it and re-built in the 17th century. It can be visited - Saturday to Thursday (9am to 5pm) and Friday (8am to 11am) as of Dec 2015 - and offers great views of the surroundings. Do you enjoy visiting castles and forts?